Eagles Live is the first live album by the American rock band Eagles, a two-LP set released in 1980. The Eagles disbanded on July 31, 1980 after their concert at Long Beach. However, the band still owed Warners a live record from the tour. 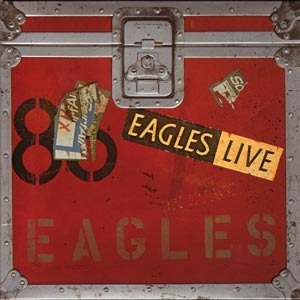 Eagles Live (released that November) was mixed by Glenn Frey and Don Henley on opposite coasts - the two decided they could not stand to be in the same state, let alone the same studio, and as Bill Szymczyk put it, the record's perfect three-part harmonies were fixed "courtesy of Federal Express." The 1983 Rolling Stone Record Guide said it is "perhaps the most heavily overdubbed [live album] in history." "Seven Bridges Road" was released as a single and would become a top-40 hit. The song was a showcase for the band's close harmony singing; the first and last verses feature all five Eagles singing in five-part harmony.